H S Hebblethwaite was an illustrator of comic postcards. No biographical details or examples of his work were available until an e-mail was received from his granddaughter, Sarah Fredj, in August 2005. 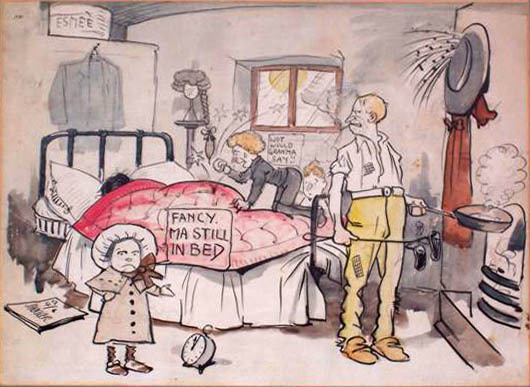 Caricaturist, Horace Sydney Hebblethwaite was born at Parkhurst Road, Holloway, Middlesex in 1873, and died 15 July 1914, four months before Sarah's father, also Horace Sydney, was born on 14 November. Sarah would like to hear from anyone who can provide further details of her branch of the Hebblethwaite family.